Alpha Phi Alpha, the first intercollegiate Greek-letter fraternity established for African-Americans, was founded at Cornell University in Ithaca, New York by seven college men who recognized the need for a strong bond of Brotherhood among African descendants in this country. 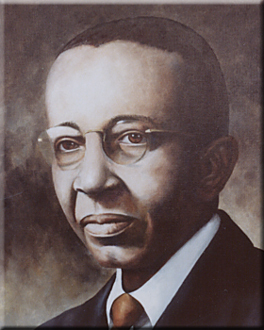 The visionary founders, known as the "Jewels" of the Fraternity, are Henry Arthur Callis, Charles Henry Chapman, Eugene Kinckle Jones, George Biddle Kelley, Nathaniel Allison Murray, Robert Harold Ogle and Vertner Woodson Tandy, The Fraternity initially served as a study and support group for minority students who faced racial prejudice, both educationally and socially, at Cornell. 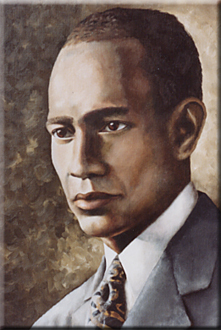 The Jewel founders and early leaders of the Fraternity succeeded in laying a firm foundation for Alpha Phi Alpha's principles of scholarship, fellowship, good character, and the uplifting of humanity. Alpha Phi Alpha chapters were established at other colleges and universities, many of them historically black institutions, soon after the founding at Cornell. The first Alumni Chapter was established in 1911. While continuing to stress academic excellence among its members, Alpha also recognized the need to help correct the educational, economic, political, and social injustices faced by African-Americans. Alpha Phi Alpha has long stood at the forefront of the African-American community's fight for civil rights through leaders such as: W.E.B. DuBois, Adam Clayton Powell, Jr., Edward Brooke, Martin Luther King, Jr., Thurgood Marshall, Andrew Young, William Gray, Paul Robeson, and many others. True to its form as the "first of firsts," Alpha Phi Alpha has been interracial since 1945. 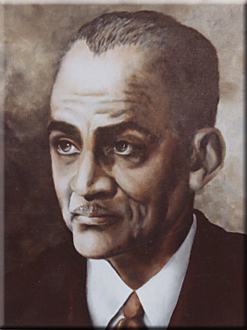 Eugene Kinckle Jones became the first Executive Secretary of the National Urban League. His 20-year tenure with the Urban League thus far has exceeded those of all his successors in office. A versatile leader, he organized the first three Fraternity chapters that branched out from Cornel Beta at Howard, Gamma at Virginia Union and the original Delta at the University of Toronto in Canada. 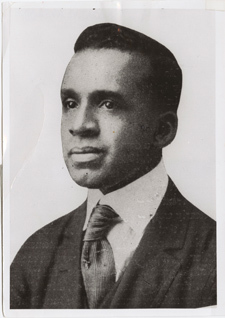 In addition to becoming Alpha Chapter's second President and joining with Callis in creating the Fraternity name, Jones was a member of the first Committees on Constitution and Organization and helped write the Fraternity ritual. Jones also has the distinction of being one of the first initiates as well as an original founder. His status as a founder was not finally established until 1952. He died in 1954. 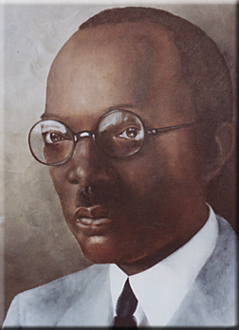 George Biddle Kelley became the first African American engineer registered in the state of New York. Not only was he the strongestproponent of the Fraternity idea among the organization's founders, the civil engineering student also became Alpha Chapter's first President. In addition, he served on committees that worked out the handshake and ritual. Kelley was popular with the Brotherhood. He resided in Troy, New York and was active with Beta Pi Lambda Chapter in Albany. He died in 1963. Vertner Woodson Tandy became the state of New York's first registered architect, with offices on Broadway in New York City. The designer of the Fraternity pin holds the distinction of being the first African American to pass the military commissioning examination and was commissioned First Lieutenant in the 15th Infantry of the New York State National Guard. He was Alpha Chapter's first treasurer and took the initiative to incorporate the Fraternity. Among the buildings designed by the highly talented architect is Saint Phillips Episcopal Church in New York City. He died in 1949, at age 64. 60% of all Black Male Doctors are ALPHA MEN. 75% of all Black Male Lawyers are ALPHA MEN. 65% of all Black Male Dentists are ALPHA MEN. The objectives of this Fraternity shall be: to stimulate the ambition of its members; to prepare them for the greatest usefulness in the causes of humanity, freedom, and dignity of the individual; to encourage the highest and noblest form of manhood; and to aid down-trodden humanity in its efforts to achieve higher social, economic and intellectual status. The first two objectives- (1) to stimulate the ambition of its members and (2) to prepare them for the greatest usefulness in the cause of humanity, freedom, and dignity of the individual-serve as the basis for the establishment of Alpha University. Alpha Phi Alpha today continues its commitment to members of the Fraternity and the African-American community through Alpha University. Via Alpha University, the Fraternity has dedicated itself to fostering the spirit of Brotherhood, training a new generation of leaders, building the technological capacity of members, bringing consistency to the implementation of the Fraternity's national programs and ensuring that chapters have the necessary preparation to implement fraternal initiatives and day-to-day operations. Alpha Phi Alpha Fraternity, Inc. has a National Mentoring Initiative, which covers four areas: Academic Development,Leadership Development, Personal Development and Social Development. Our chapter sponsors programmming which address the goals of each of these areas. We have collaborative partnerships with; the March of Dimes, Faith based organizations, Community based organizations, Boy Scouts of America, Middle and High schools and area colleges who help us deliver needed programs to the Greater New England community. A program designed to help develop our youth because they are truly our future. The program has an objective of assisting in the development of youth by coordinating programs that deal with problems they encounter and dates back to the early days of our fraternity. Such programs include teen pregnancy workshops, Big Brother programs and lectures. This program is carried out in collaboration with the March of Dimes. A program initiated over fifty years ago that continues to stress the importance of higher education. Such activities include High School recruitment for college students, seminars and providing scholarships for higher education. This program emphasizes the importance of voting and the objective to assure all qualified voters register and vote. This program was very instrumental in the years when minorities were intimidated from using their voting rights. Where chapters actively become involved with Boy Scout chapters because we realize that in many respects there is a common purpose for both organizations. The Big Brothers/Big Sisters of America program was implemented during the fraternity’s 1990 General Convention. The two organizations signed an agreement to assist each other in reaching their goals of working toward the positive development of African-American youth and empowering their families and communities. A major fundraiser that provides funding to support research and treatment in fighting prematurity in America. Alpha Phi Alpha Fraternity, Incorporated has lead the way in being an example by raising money for March for Babies. In 2007 Alpha Phi Alpha raised more than $230,000 for March for Babies. AlphaEast is also the home of the National Headquarters in Baltimore, Maryland. The region currently has 148 active chapters and over 3,000 active members. AlphaEast takes great pride in being "First of All, Leading the Way." The concept or "birth" of ONECA came about as the result of the Chapters in VA, who were the first of the Districts (of which there are 7 in the Eastern Region) to use an acronym to identify themselves. They chose the acronym VACAPAF, which stands for the Virginia Chapters of Alpha Phi Alpha Fraternity. During a "brain storming" session with other District II Chapters (as all Chapters were only known by a District number), Bro. Thomas Harris IV suggested the acronym of ONECA and later presented it at the following District II Conference. Bro. Harris was President of the BSL (Hartford Alumni) Chapter at the time, and after a vote around 1979-1980, the Organization of New England Chapters of Alpha (ONECA) was born. There are 6 states that make up ONECA: CT, MA, RI, NH, ME, and VT. Instrumental Chapters in the foundation building along with BSL, were HAL (New Haven, CT), TIL (Springfield, MA), ZPL (Stanford, CT), EGL (Boston, MA) and AG (Brown University). As we stand today, close to 30 years later, ONECA is still strong and vibrant in the Greater New England area with 15 Chapters performing the work of Alpha. The whistle has sounded and the call is made: "ALL ABOARD! The ONECA Train is leaving the station and is coming through!"